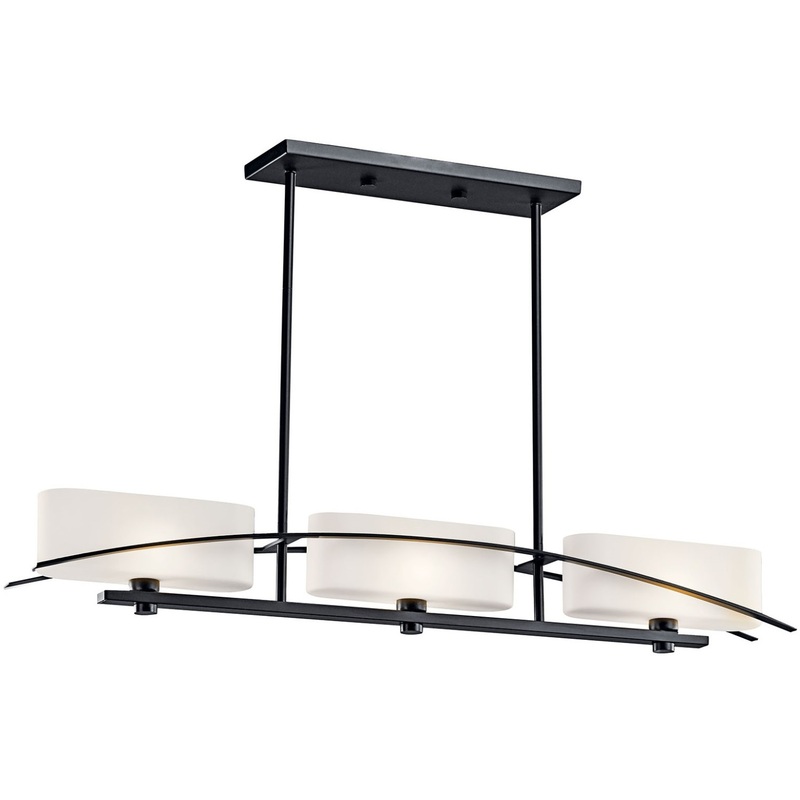 Simplicity reigns supreme in this 3 light linear chandelier from the Suspension Collection. A gentle flowing arch sits cleanly against each fixture's perfect right angles and oval glass shades. A pure black finish adds the final elegant touch. Bulb and sloped ceiling kit included.